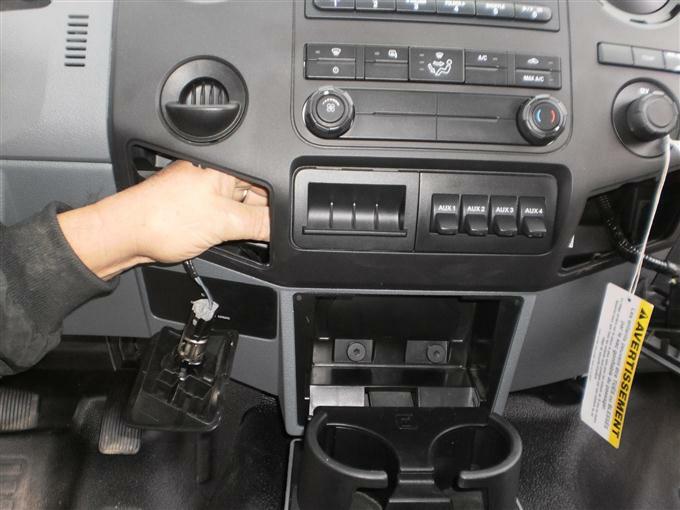 This Super Duty was not equipped with the Ford Factory installed Brake controller. It is VERY EASY to install a Hi Performance Aftermarket Trailer controller in these trucks, even though Ford may indicate otherwise. Just click here to get the controller and Harness you need, and in less than 10 minutes you are done! 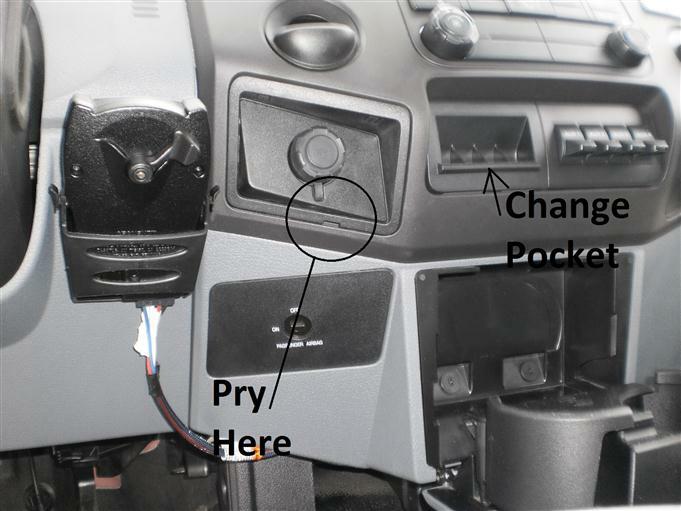 The Harness is PLUGGED in the back of the Change Pocket. (I suppose just to keep it from Bouncing around) so you need to pop out the Cigar Lighter with a small screwdriver in the slot on the bottom of the bezel (see pictures), reach through and un-hook the Controller plug from the back of the Change holder. 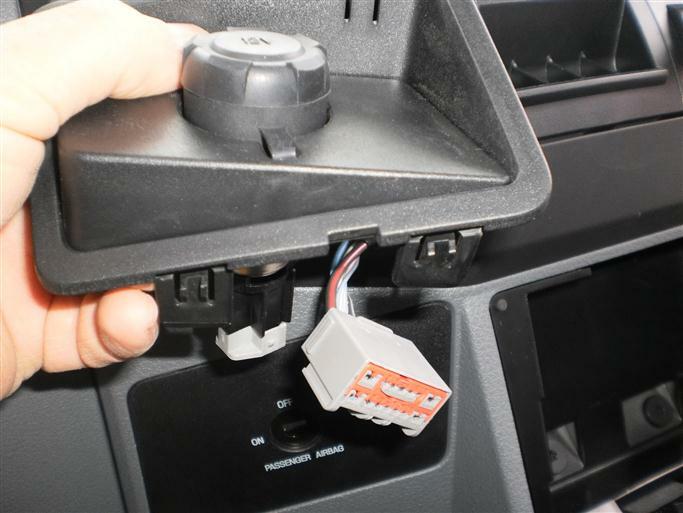 Then simply plug in the Ford Super duty Harness and mount the controller! 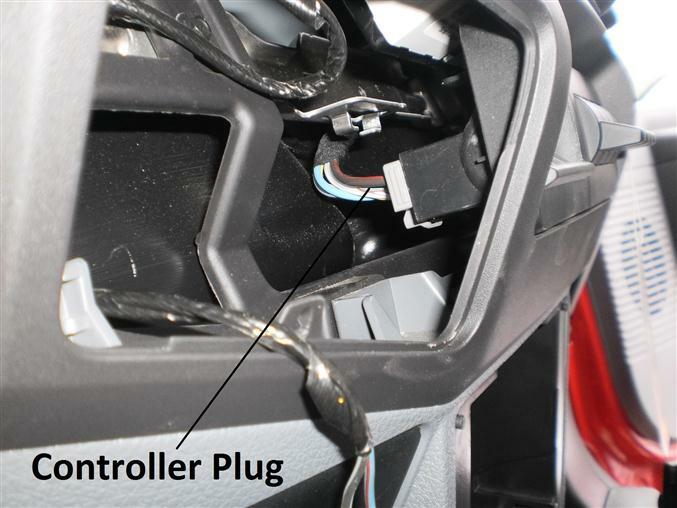 Below- Close up of the tabs that hold the Cigar lighter bezel in (just slip tabs) and the Brake controller plug.